Hello again Children’s Ranch community! 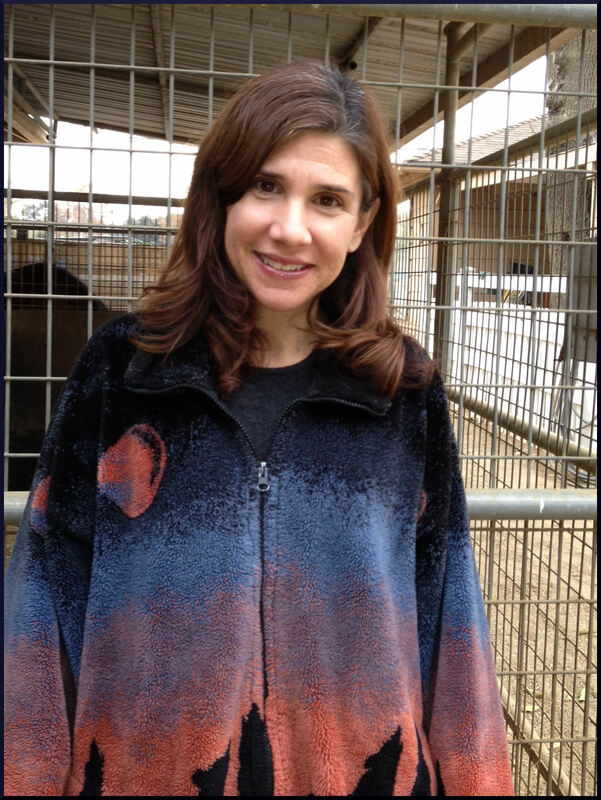 Today I want to introduce two very special Ranch friends: Christina, a special education consultant at the Ranch, and Pipsqueak, a new addition to the critter crew. First, let me tell you about Christina. 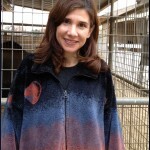 She has been at the Ranch since 2010, when she moved here from New York. She is a part of teams that give assisted therapeutic riding lessons and run social skills groups, and also works with students as an educational therapist. When I asked Christina her favorite thing about the Ranch, she shared “that everyone there is working on something, and they get to work on it in a REAL place, a place that’s very alive, not sterile.” I have to agree with her – anyone who has mucked a stall here would say it is definitely not sterile! I mean to say that everybody involved at the Ranch works very hard. 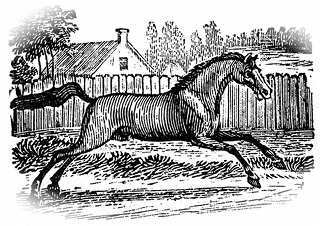 I also asked Christina whether she feels especially connected with any particular horse here; though each horse is incredibly special in its own way, Christina feels most connected to Storm because of her fiery independence. Once you meet Christina, with her energetic demeanor and enthusiasm for the work she does, this pairing makes so much sense! When she isn’t here, Christina enjoys gardening, cooking, reading, and hiking with her husband and daughters. It was through Christina that a fancy new chicken came to live at the Ranch. 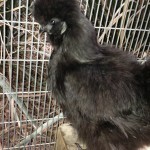 Pipsqueak is a special breed called a Bantam Silkie and was hatched at a ranch in Santa Clarita about five months ago. 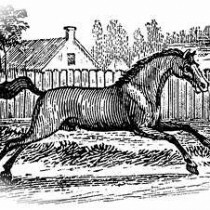 The breed is known to be calm and docile, and they make wonderful pets. In fact, they are such good and gentle mothers that Silkies are actually used to hatch eggs from other species of birds. 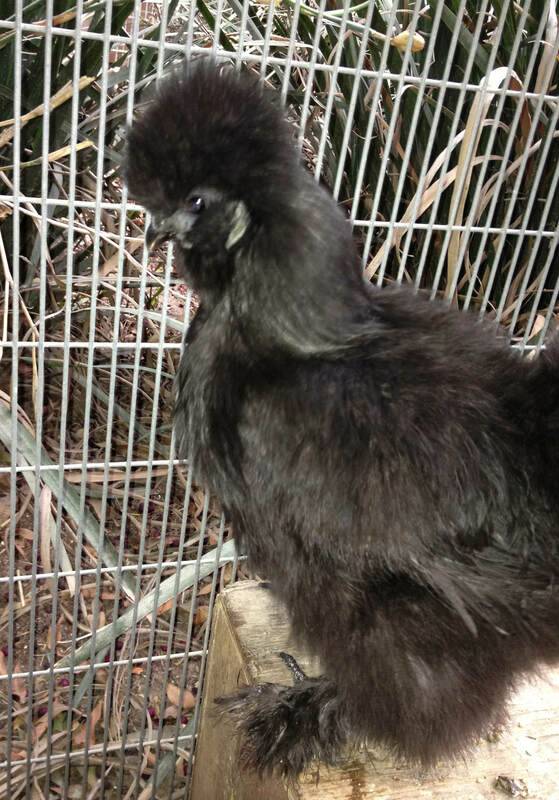 They come in a variety of colors and are unique from other breeds of chickens in several ways including their black skin, flesh, and bones, fancy feathers, and having five toes instead of the typical four. I had never heard of this type of chicken before Pipsqueak came to the Ranch. It is remarkable how much I have learned about animals here, as well as what we all can learn from them. One of the things I love best about the Ranch is the limitless lessons it can teach us. In Christina’s case, she explained, “the most important thing I learn again and again at the Ranch is that I’m not an effective human being if I’m stressed out. The Ranch has really pushed me to explore my own self regulation.” This idea of being aware of stress is something I’d like to explore in a later post, so thank you to Christina for the idea! Thanks for reading, and come visit the Ranch sometime – you never know what you might learn! 3 Comments on "Gaby’s Blog – 12/19/13"
I’m honored to be featured in such a positive way. Thanks Gaby! And thanks for the research on bantam silkies. Very informative!